Dr. Max Cynader is a world leader in the field of brain research, a scientific entrepreneur, and a generous contributor to his community and society. In the nearly 20 years since his arrival in British Columbia, Dr. Cynader has made important contributions to our understanding of the functioning of the brain and the visual system. Working as the founding Director of the Brain Research Centre at the University of BC, he has built Canada’s pre-eminent centre for neuroscience. Dr. Cynader has attracted more than 30 new faculty members to the Brain Research Centre, and it now has 24 Canada Research Chairs among its faculty. Dr. Cynader has completed influential research on brain development and has applied his scientific talents and discoveries in the ‘real world’ by founding and nurturing several innovative B.C. companies. These companies develop medical treatments and have generated employment, training and wealth in British Columbia. Dr. Cynader has generously supported B.C. charities in the arts, the community, and the health sector, as well as being a significant donor to the University of B.C. He has served as a public spokesperson for the Heart and Stroke Foundation, Literacy BC, and the Alzheimer’s Society. Dr. Cynader is regularly called upon to provide advice to government and has served on numerous review panels. He has won several excellence in teaching awards and has played an important role in conveying to the public the importance of contemporary science. 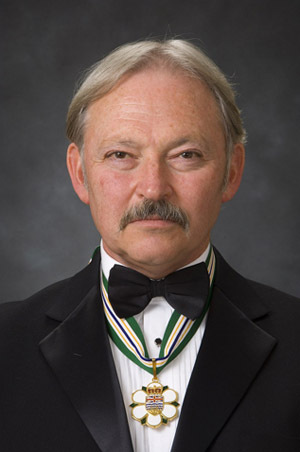 Dr. Cynader was invested into the Order of Canada in 2010.